Wheat bran 43%, fish meal 30%, bean cake 15%, barley 10%, additives 2%. The feed coefficient is 2. Bean cake 50%, fish meal 15%, wheat bran 15%, rice bran 15%, vitamins 1%, inorganic salt 1%, antibiotic leftover 1%, adhesives 2%. The feed coefficient is 2.7. Rice bran 40%, wheat bran 38%, bean cake 10%, fish meal 10%, yeast powder 2%. The feed coefficient is 1.9. If a part of the green fodder is added, the feed coefficient is 2.2. Straw powder 80%, bean cake 10%. The feed coefficient is 4.9, if a part of the green fodder is added, the feed coefficient is 13. 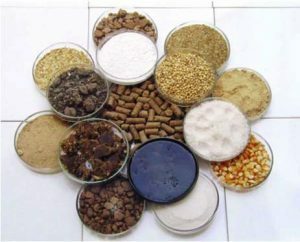 Corn flour 70%, fish meal 10%, bean cake powder 15%, wheat bran 15%, other material (based the total material metering) can be: sweet potato powder 12%, salt 0.5%, growth substance 2%, calcium hydrogen phosphate 2%. The feed coefficient is 4.8. Sweet potato rattan powder 80%, bean cake powder 15%, wheat bran 5%, other material (based the total material metering) can be: sweet potato powder 12%, salt 0.5%, growth substance 2%, calcium hydrogen phosphate 2%. The feed coefficient is 15. Rice bran 45%, bean cake 35%, powdered silkworm pupae 10%, thorn powder 8%, bone powder 1.5%, salt 0.5%. The feed coefficient is 2.27. Bean cake 35%, wheat bran 30%, fish meal 15%, barley flour 8.5%, corn flour 5%, edible leaf powder 5%, bone powder 1%, salt 0.5%. The feed coefficient is 2.5. Straw powder 40%, powdered silkworm pupae 30%, rapeseed meal 10%, barley powder 20%. The feed coefficient is 3. Green hey powder 40%, cottonseed cake powder 30%, bean cake powder 10%, rapeseed meal 5%, powdered silkworm pupae 5%, fish meal 5%, barley powder 5%. The feed coefficient is 8. 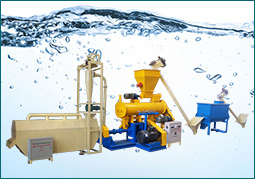 1.Feed must be granulated, sinking pellets or floating pellets. 2.The feed must be nutritionally complete, including full vitamin and mineral premix. 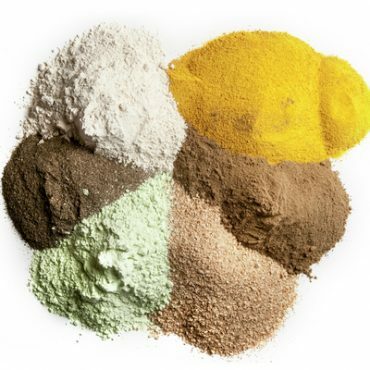 3.The protein content of feed is generally 32 – 36%. Price of feed with high protein content is higher, but it is worth spending, especially when the average weight of fish is not less than 50 grams. 4.The quality of feed will decrease with the prolongation of storage time. Feed should be used up within 6 weeks after production, if the storage time is too long, its vitamins and other nutrients will lose, or be damaged mildew and other microorganisms. 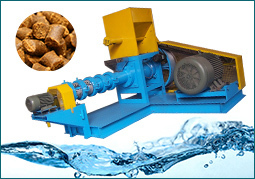 Tip: using fish feed extruder produce (sinking and floating) feed pellets by own, all of above requirements can be met. The goal of feeding in pond is to feed the fishes with required quality, quantity, and feeding time per day. 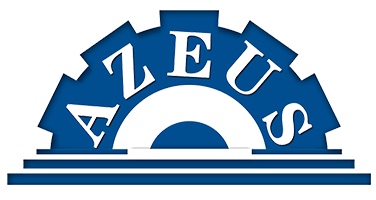 So as to achieve the best production effect and benefit. In order to balance the growth of fish and the feed coefficient, the most appropriate amount for each feeding and daily feeding should be about 90% of the total body weight of the fish. If the amount of feeding is only 80% of the satiety, the feed coefficient will be relatively low, but the growth will be slow. If the feeding amount reaches 100% of the satiety, the growth will be good, but the feed coefficient will be relatively large. If the feeding amount is more than 100% of the satiety, in addition to waste, it will pollute the water quality and increase the cost of water quality management. 1.The feeding was started at 3% of the amount, the feed would be eaten in 2-5 minutes when fish ate actively. 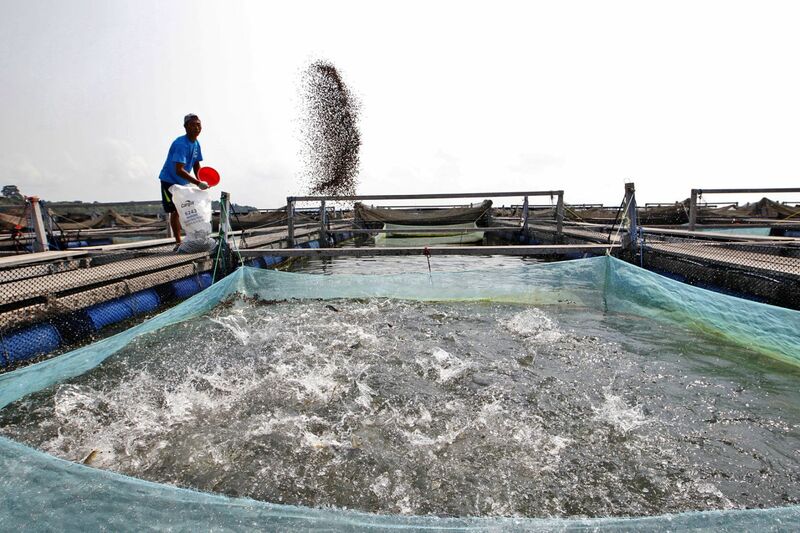 2.Some fish, like catfish, usually feed at night, farmers should train them to feed at day. The best time for feeding is from 8:00 a.m. to 4:00 p.m., or 2 hours after dawn and 2 hours before dusk. 3.It is not necessary to feed two or more times a day, but the daily feed can be divided into 2 to 3 portions, and feeding once between 6 and 8 hours. In some cases the fish will grow faster, the feed coefficient will be lower, especially for smaller individual fish, tilapia and carp. 4.Excessive feeding should be strictly avoided. The sign of over feeding is that the remaining feed was not eaten by fish after feeding for more than 10 minutes. 5.Feed should be finished at one time, can not be spread by hand. 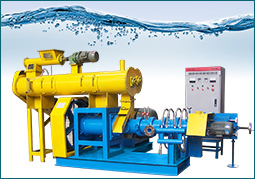 6.The daily feed amount is limited, because metabolic waste can pollute water quality.